Hey folks, I will play a gig in my hometown on Saturay, 17th March. 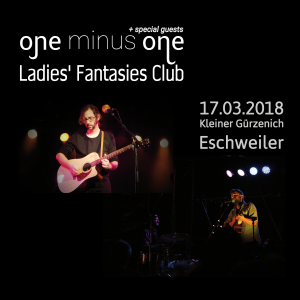 The first part of the evening will be reserved for the wonderful Ladies’ Fantasies Club from St. Vith, Belgium. Come over if you are nearby! This entry was posted in Uncategorized on March 11, 2018 by db784320.